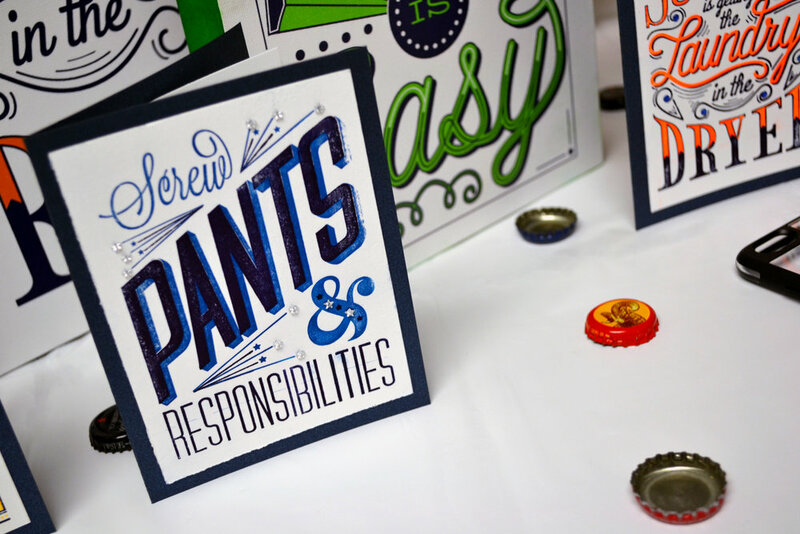 Adult Shenanigans is line of encouragement greeting cards and items featuring hand-lettered letterpress designs with neon ink and added bling. 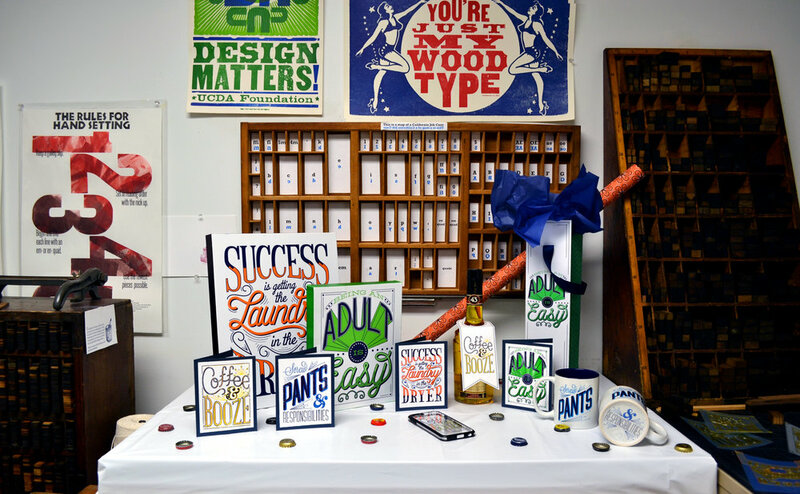 The cards are 2 color letterpress printed on a Chandler and Price Pilot press using polymer plates. 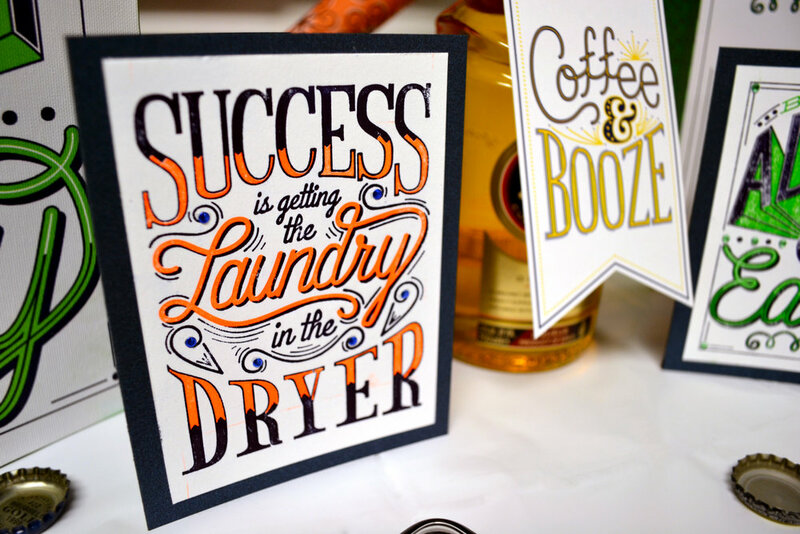 Featured items include coffee mugs, canvas prints, wine gift bags, bottle tags, wrapping paper, tissue paper and cell phone cases emblazoned with encouraging words to remind the user of something positive and humorous.